The OMG Sponsors & 2019 Recital Date | Oksana Management Group, Inc. 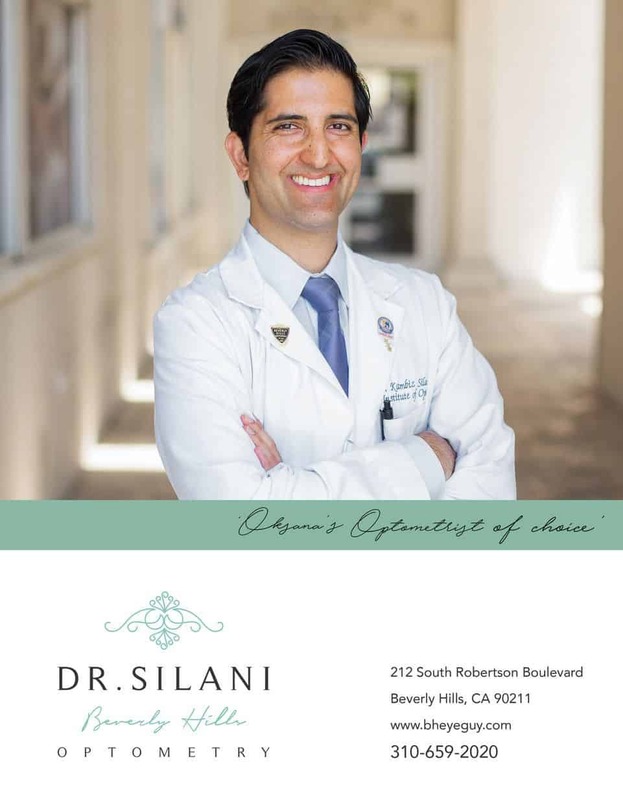 Sponsor of the Month — Dr. Kambiz Silani is a friendly and engaging medical optometrist treating his patients in Beverly Hills. His family has been in the eye care field for over 50 years. He attended the University of California, Los Angeles (UCLA) as well as Western University of Health Sciences to receive his optometric education, where he also focused his studies on ocular nutrition, innovative ophthalmic technologies, and ocular disease. During his training, he worked alongside world-renown vision scientists, retinal specialists and refractive surgeons. His passion for the profession is seen in various publications, while he lectures, & over social media. Greetings and New Year’s Wishes to All Our Friends! As we just welcomed in 2019, we here at OMG, Inc. would like to take a moment to share the purpose of this particular Newsletter with you – namely, introducing you to our beloved sponsors that encompass a roster of seasoned professionals we have personally endorsed, so that you may become acquainted with them should you require any of their services. What makes these sponsors “endorsable” by the OMG standards we adhere to? Put simply, it’s the fact that we’ve had the opportunity to work with them one-on-one, and in so doing they have proven themselves to be trustworthy, reliable and ultimately deserving of our praise and personal recommendation. What’s more, should you visit the OMG Sponsors page and notice any business that offers services you may be in need of, you can feel free to contact them via their websites and inform them that you are a subscriber to the OMG Newsletter – it goes without saying that you will be treated with the utmost of respect. As many of you are already aware, our annual Grand Recital will take place in May, once again at the prestigious Steinway Piano Gallery of Beverly Hills, and those of you interested in applying for an OMG sponsorship can do so by contacting us directly. Of course, you are asking yourself what benefits come along with being an OMG sponsor; the answer lies here: SPONSORSHIP OPPORTUNITIES. In closing, it is our hope that you get to meet some of our respected sponsors and even take advantage of their premium services, while becoming a Grand Recital sponsor yourself in 2019. Thank You, and Warmest Regards! At the Steinway Piano Gallery of Beverly Hills. 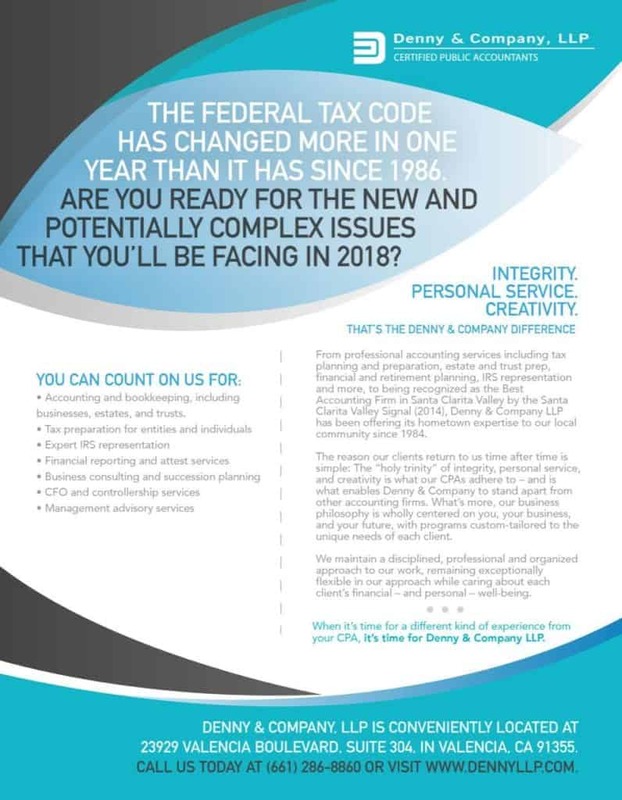 Denny & Company, LLP was established in 1984 by founding partners Patrick & Carolyn Denny. The firm is currently comprised of two partners, Carolyn Denny and Matthew Denny. The partners and staff bring a wealth of accounting, finance, information technology and business expertise to their clients. 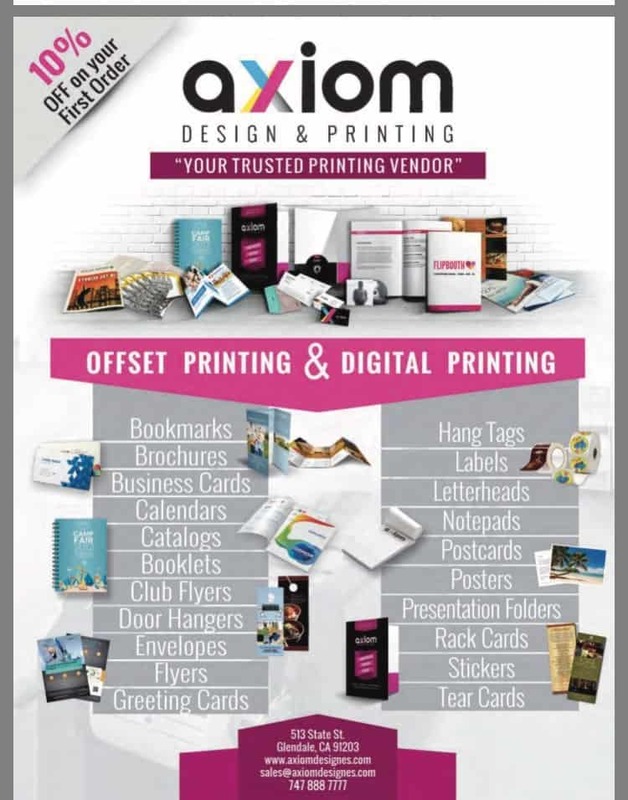 Axiom Designs is a Los Angeles printing company offering wide selection of offset, digital and large format printing. Providing a wide selection of designs, ideas and printing services in Los Angeles, we can help you to grow your business and bring you new customers. Our services are available nationwide, but we find more effective to meet in person for customers living nearby areas of Los Angeles and its surrounding cities including Pasadena, Burbank, Hollywood, North Hollywood, Downtown Los Angeles, San Fernando Valley, Glendale and etc. 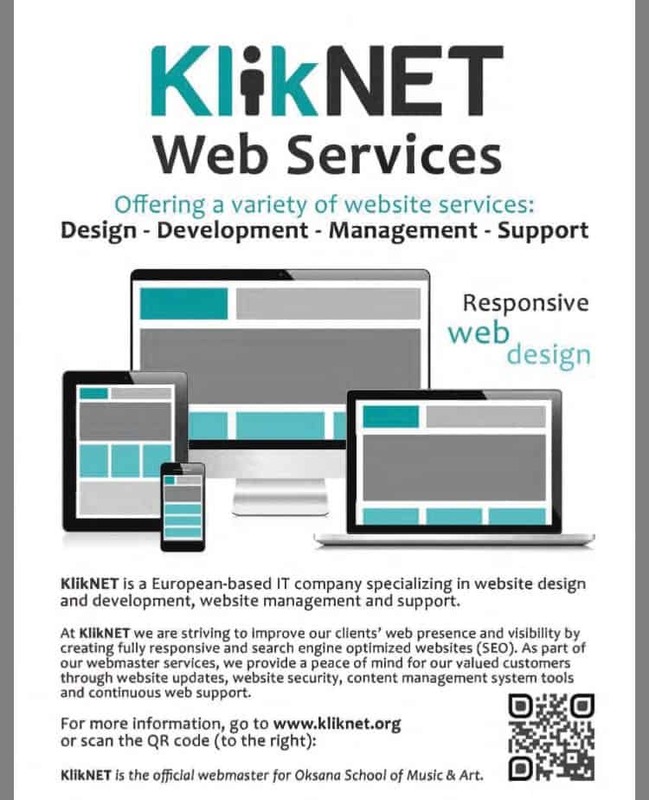 KlikNET is a European-based IT company from Slovenia specializing in website design and development, website management, security and support. At KlikNET we are striving to improve our clients’ web presence and visibility by creating fully responsive and search engine optimized websites (SEO). As part of our webmaster services, we provide a peace of mind for our valued customers through website updates, website security, content management system tools and continuous web support. For more information about our services, please contact us today: info@kliknet.org – OMG Exclusive Webmaster since 2015! Operating by appointment only, Denis Frison’s company – boasting offices in New York and Los Angeles – crafts tailor-made, vintage fabrics and collectible pieces for discerning buyers, a realization of Frison’s lifelong dream to share his skills as a designer and his passion for research with clients from around the world. Whether it’s hand-sewn shirts, sartorial items made from limited selections of exclusive fabric or casual knitwear and leatherwear items inspired by Frison’s own vintage archive, every product offered by his brand is made to measure and is produced according to each client’s preference. 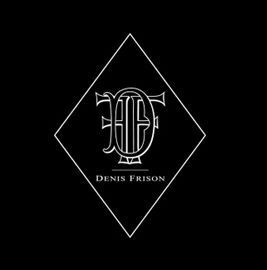 Since the time of its founding, the Denis Frison brand has had the privilege of working with a prestigious roster of A-list clients including Al Pacino, Wolfgang Puck, Tommy Hilfiger, Leonardo di Caprio and Robert De Niro, among others. To visit all our other Sponsors, please go to our Sponsors Page. SPECIAL MUSIC-RELATED ANNOUNCEMENT COMING UP WITH THE FEBRUARY NEWSLETTER!